The Gunks Mountain Cabin is finally close to being completed with the renovations and should hopefully be open for the fall climbing season in the Gunks. We had really hoped to be ready for the spring, but an unexpected new kichen installation threw us off schedule somewhat. Those folks who know me, know that I'm not one much for self-promotion and I'm not always seeking publicity on social media and the like, but if I do say so myself, this place is frigging awesome. It's an alpine museum, climbing gym and mountain hut all in one and it's just a stones throw away from the world famous climbing mecca, "The Gunks". I'm now going to get some young Nepali hotshot web techie in Kathmandu to buld a website, so we can show you folks what we have been up to during our off climbing season time. We last climbed Makalu in the spring of 2017, which was an amazing climb on an uncrowded mountain. Even though we missed the actual summit by 14 vertical meters or so, due to a dodgy looking cornice on the final summit ridge, that none of us in my group, and none of the other climbers following us (we were fixing ropes on the entire route) decided to try to cross. I'm very pleased to be heading back this spring with a small team supported by our premier climbing Sherpas. This time we hope the conditions are good and we get to climb that last dodgy looking section from 2017, to the true summit. I'm heading back to the amazing Cordillera Blanca this summer with the Junkies and then for some personal climbs. We will be back in the Ishinca Valley with a Junkies team, hoping to reach three summits in seven days and then I will be doing some personal climbs throughout the summer. One of these personal climbs will be an epic traverse, which has been on my radar for many years. I'm looking forward to returning once again to Cholatse, hoping to make my sixth summit, on this super technical and beautiful peak. It's my favorite peak in all of the Himalayas, and although it's not the highest, the most famous, the most historical, it's one of the best Nepal has to offer. 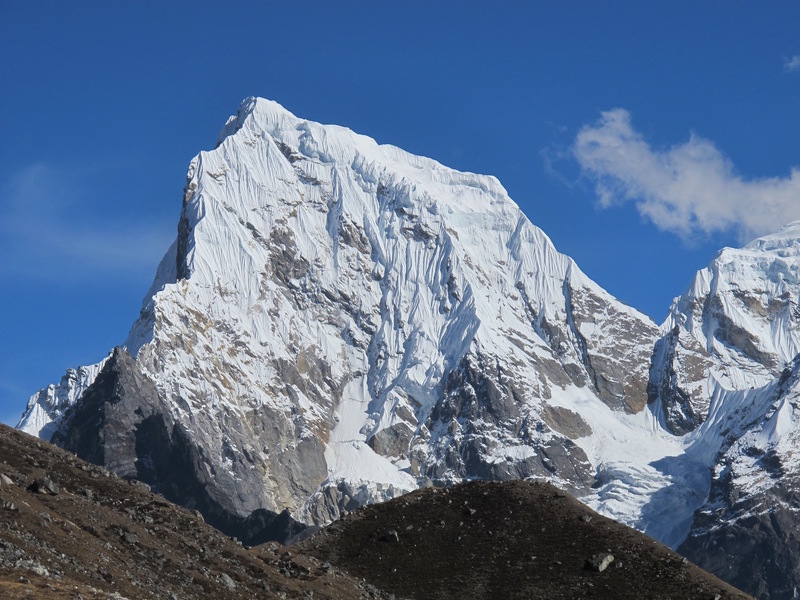 Ama Dablam is a beautiful peak, although it's overcrowded in October and November. The last time I climbed her, last November and December it was so quiet. I'm going back this year with a Junkies team, and yes, I will use helicopters to fly into Namche and out of base camp. Don't hate me, I'm getting old.